This page will be your link to Past, Present, and Future GCMS Baseballl information. I hope that you find this site helpful and enjoyable as you follow the Falcons from around the world. 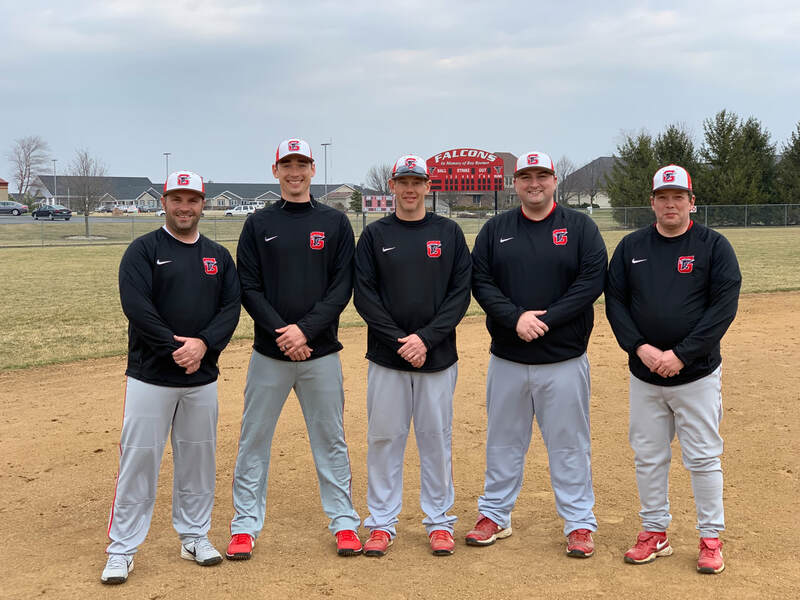 Dustin White-Head coach Dustin White is now entering his 17th year as the Varsity Baseball coach at GCMS. He has a record of 224-247-3, with a Regional Championship and Two Conference Championships during his tenure. Mike Schwenk- Mike enters his 6th season as Head JV baseball coach for the Falcons. Patrick Bean- Patrick enters his 8th season as an assistant baseball coach. Christian Rosenbeck- Christian enters his 7th season as an assistant coach. He will work mainly with the pitching staff and first baseman. Bob Huppert - Bob enters his 2nd consecutive year to with the staff.He will bring his expertise to the offense as well as coaching on the base paths. Pete Hornstein- Pete returns to the field after a few years away from coaching. He will work with the catchers and quality control. Please click on the Game Changer button to be directed to our current Varsity stats page. You can also sign up for text or twitter alerts for the team or your favorite player.